Despite decades of progress towards achieving equality in the workplace, women remain significantly under-represented in emerging tech. 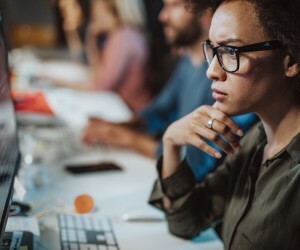 The imbalance between men and women in the technology sector is unlikely to be remedied unless organisations, schools and universities work together to change entrenched perceptions about the tech industry, and also educate young people about the dynamics and range of careers in the technology world. 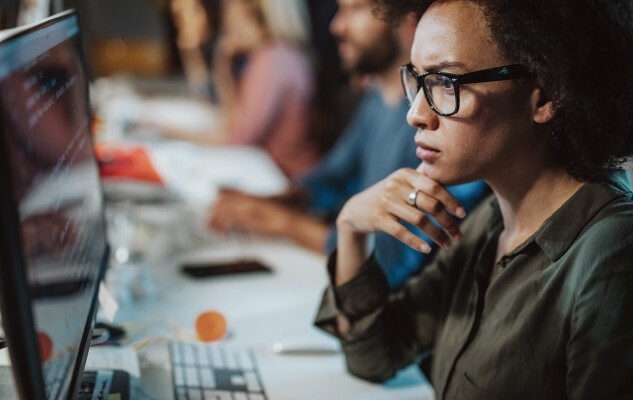 This is according to a report issued by PwC’s Economics team that analyses the behavioural measures that bring gender equality to emerging tech. Although some strides have been made to advance women in tech, more needs to be done. Women currently hold only 19% of tech-related jobs at the top 10 global tech companies, relative to men who hold 81%. In leadership positions at these global tech giants, women make up 28%, with men representing 72%. In South Africa, the proportion of females to males who graduate with STEM-related degrees is out of kilter: women are underrepresented in maths and statistics, ICT and technology, as well as engineering, manufacturing and construction. According to a 2017 WEF report on the future of jobs in Africa, cultivating an interest in STEM fields must start as early as possible. Additionally, schools should be proactive in exposing young girls to tech capabilities. Computer programming and/or information technology could be included in the curriculum for primary and secondary schools as compulsory subjects for all children. An early start puts all kids on a level playing field before gender stereotypes have set in, and starts to prepare both girls and boys for the jobs of the future. A solution being tried out in multiple communities is to appeal directly to girls with coding programmes and to start teaching kids the fundamentals of coding early. One woman doing just that is Baratang Miya, co-founder of GirlHype, a coding academy for women and girls to close the gender gap that exists in tech. It was started by Baratang Miya who is a self-taught coder, and once she learnt how to code, she believed that every woman should learn how to code, especially when they are still in school, in order to close the gender gap that exists in tech as well as to have women’s voices represented in technology. GirlHype, itself, is a career space for women, providing mentoring, advice, meet-ups and hackathons. “I studied Industrial Psychology and have a postgraduate degree in Marketing from UCT. One of my main subjects was advertising and women in religion was my elective subject—both subjects were eye-openers in terms of how women’s oppression is so systematic and perpetuated by the very two powerful institutions they trust and rely on, which is the media and religion,” says Miya. “So I started teaching girls digital literacy, which led to them also learning how to code, with a belief that once they know how the create technology girls will have a voice by writing their own stories. They will be so empowered to occupy tech spaces and transform it,” she adds. GirlHype offers girls an ample dose of tech education and soft skills that enable them to write in a way that is a reflection of who they are, thus enabling them to solve issues within their communities and inspiring them with the hope that they can study technology and excel at it. “We are providing them with the resources, tools and safe spaces for them to learn. It was a social action campaign from my side, as well as an educational platform for schools to help younger female generations to become more technologically literate and empowered. “I could not understand why the first time I touched a computer was when I got to university. I also didn’t want to reinvent the wheel of what was already being done in the market about women’s empowerment. Education is very important to me and I was just doing my little part in this huge complex web that is challenging women’s representation and looking for parity in our culture and education sector,” explains Miya. “Launching GirlHype I was very focused on STEM education. There is a huge lack of women in tech and this is an industry that’s growing at an 80% rate at the moment. All jobs in the future will require basic computing skills. Being a formal movement, it has allowed me to talk to corporations about the best practices to empower women, not only internally, but looking at their number of female employees and how they’re portraying gender in those roles. We had the opportunity to partner with academic institutions to promote the need for young women to consider careers in tech,” she adds. Her interest in technology was spurred by learning how to code and she realised she could use the education she received to be the change that she wanted to see. “My motto became, ‘You cannot be what you can’t see’, especially for black Africa women who are projected as these submissive menial workers who could not do anything better or lead. Our girls have no role models at all and I wanted to change that perception. “Women need to be treated as equals and the knowledge economy has no gender bias. It’s going to be exciting to see what happens in this country once we really achieve parity. The problem of a lack of women in tech, in itself, is systemic, underscored by the fact that women are vastly under-represented in top positions within the industry itself, in a corporate culture that is driven by profit. It is a socially- and economically-complicated predicament with no simple solutions,” says Miya. For Miya, the creation of technology itself is a huge pedagogical force and a tool for communication and, at the moment, it’s dictating our cultural values and our gender norms in a way that’s communicating to us that a woman’s value is limited. She believes that if girls are targeted before they become women with lots of societal influences, the educational empowerment cannot be taken away from them. “It is very important because patriarchy and misogyny are taught through religion, the media, culture and many other forms. Young girls are very confident, they believe in themselves and their maths ability is very strong. It’s only once they reach teenage years that they start doubting themselves and listen to the societal message that their value lies in external forces—that is a lie and it needs to change. Our role is to keep reinforcing their confidence and giving them structured educational support in order for them to have a powerful force like education to hang on to when the challenges of being a woman arise, especially in the years of child-rearing and early marriage. This will help to ensure that they are not left behind, career-wise,” she explains. When asked if there is a gender disparity in ICT use/education, she answers “without a doubt”, stating that, according to research, only 20% of tech jobs are held by women and only 5% of senior positions are held by women. She attributes these results to a lack of role models and information that girls have paired with the cultural norms of promoting tech through games and early learning geared towards boys only. “Fortunately, a lack of women in tech is not a ‘women’s’ movement anymore, it’s a human rights movement that we are really embarking on and that is why we need men to be part of it,” says Miya. “In some regards, I think men are more enraged, fathers of daughters are more enraged and more concerned about the future for their daughters. We are beginning to see more and more men speak up and out against the lack of women in tech,” she adds. Miya says there are a number of reasons why there are significantly fewer women working in the ICT sector than their male counterparts. “It’s a difficult subject to study and because so much of it is cultural—and due to a lack of exposure—the answer is probably changing constantly. My personal guess is that it’s a combination of factors,” she says. “Subtle and not-so-subtle discouragement, outright harassment in the space, cultural disparities that result in both young girls and adult women having less free time to focus on developing and honing their skill sets and young men being stereotyped as bad communicators and being encouraged to gravitate towards careers not known for communication, but which are very technical,” she adds. In terms of challenges faced during her career, Miya says that it was very tiring to always be the first or only female within an ICT space, the first to compromise, always being the one who had to adapt and denying important parts of herself just to get the chance to do her work. She describes it as being a stranger in a strange land—where she had to speak their language and understand the male way of doing things but nobody learnt hers. She explains that a lot of teams have their culture, which they expect new members to adapt to, and are resistant to incorporating that person’s style into their culture. “Teams have an established dynamic and can be averse to changing the way they interact or communicate. A lot of teams are afraid of that, but that’s the whole point. Diversity makes better teams and learning how to communicate with lots of different people makes your products better. It is this culture that causes capable women, who are doing well within the industry, to end up leaving mid-career,” says Miya. She says that while the tech space is still very male-dominated, she has mostly worked with decent men who were just happy being themselves, and she is certain that many of the problems encountered in her tech career were due to the cluelessness of her teammates rather than any malice on their part. “I realised that I spent my entire career trying to prove I was not this largely imaginary, clueless coding girl—partly because of my pathological need to seem clever—however, the tech world doesn’t make things easy for women. I still receive a surprised look from most people when I say I can code and almost every time I attend a developer meet-up or hackathon, someone will ask what I am I doing there,” says Miya. “I wish I had an easy solution—I don’t—but I do know that improving the life of one female developer requires shifting the gender ratio in your developer team, and in your company, in a significant way. Companies should hire more than one female developer and make them feel that their way of doing things is valuable too, because it is. They need to be promoted, encouraged to become senior-level leaders and their input must be respected. Add women to your board of directors, founding or executive team and stop saying ‘You’re a developer?’,” she explains. Another amazing woman who agrees with this sentiment is Nisha Maharaj, the founder and Managing Director of Niche Integrated Solutions, a company that’s focused on disruptive technologies and which sets up strategic partnerships and innovation platforms in South Africa. “We innovate in the ICT arena, looking at how we could leverage off global best practices to lead ICT transformation and modernisation to the African continent. “I decided to start my own business a short while ago and, by chance, stumbled into the world of business in technology software and IT services. All my consulting assignments led to problems around operational efficiencies, which only technology could solve. In the business arena of South Africa, there are a few gaps in technologies, so I researched the globe to find solutions that could bring value to South Africa and was very fortunate to have cultivated partnerships with some of the global leaders in technology,” Maharaj says. They are a team of women entrepreneurs who want to delve into their own IT businesses at a later stage, they have immense experience in financial services and telecommunications and bring a wealth of experience in this domain. “Niche Integrated Solutions has made headlines since our first year of operation and saw success instantly. Not only did I decide to follow my instincts, I am also making a significant difference to the South African context of technology innovation and to empowering entrepreneurs through entrepreneurship growth programmes,” she says. Her interest in ICT was a lifelong one and she had previously, within her corporate days, never spent a day in her life in an ICT department. “I had no idea what I was going to do in business, I simply picked a subject that I did not know well. I was always intrigued by Ms Priya Singh, who is now the CTO of Niche Integrated Solutions and who was also an immense inspiration. I have never come across a woman that can talk tech like her and it simply triggered a bigger need for me to know more about ICT. Every company has a Steve Jobs and that’s our CTO, Ms Priya Singh, she is the actual genius behind the scenes,” says Maharaj. She says that ‘women in technology’ is always a subject of debate, and while there are many women at the forefront of the tech scene, she still finds herself walking into a boardroom of 20 men and one woman—the one women being herself—and that a serious effort has to be made to change this status quo. “I definitely believe that there are not enough women in this field and women must be encouraged from a school level about careers in ICT. I started very late in my life and the only thing that I regret is that I had not done this earlier,” says Maharaj. “As to reasons behind there being fewer women involved in IT, I would speculate that it’s due to women generally being more cautious—maybe not as adventurous—and having families and kids to take care of. They can’t always fly around the world and spend extra hours in the office. It can be exceptionally difficult to get stuck into ICT because it takes a 20-hour schedule and a substantial amount of research, amongst other aspects. “I would not say that women have less dominant characters because this is not true. Neither would I say that women don’t like technology because many women in our circle simply love it. There are many CIOs and CTOs out there who are women and who love this industry,” she explains. Maharaj says that the ICT industry has changed and become more inclusive, although there remains a culture of disbelief surrounding women ICT experts. “Occasionally, you would find an ICT expert who would challenge us or ask us if we were doing the presentation, almost in disbelief that women could actually talk about IT, but as we started speaking, the disbelief almost always changed to ‘wow, unbelievable’, especially when we could answer all the questions—that always gives one credibility and trust. Know your stuff is the only advice I would give to other women in ICT,” says Maharaj. She says the best parts about becoming an entrepreneur and a woman of leadership is inspiring other women, being viewed as a role model and seeing Niche Integrated Solutions flourish. “We are only an emerging company but people admire us and more and more women want to work for us. We truly want to be an employer of choice for any woman who wants to thrive in a tech environment. Having won the Women4Africa International Business Woman of the Year award in London last month, it makes me realise that, even without the tech background, we achieved this and if, as an entrepreneur, you are not making a meaningful contribution to other people’s lives, you have defeated the purpose of being in business. There is a difference between a leader and a manager, this is the most important thing to learn as an entrepreneur, whether you are a man or a woman. “The only thing I would change if I could do this all over again is to not have wasted my time for so many years as a corporate employee. I would have started this journey at the age of 18 instead. We hope to be one of Africa’s leading women-owned companies, inspired by women, staffed by women and ever-continuously bringing more and more women into ICT,” says Maharaj. To change the way talent is developed and deployed in today’s world requires the undoing and relearning of age-old thought processes and the formation of new norms and values, especially in the education system and labour market. Biases are built deeply into our cognitive processes, and unlearning them is difficult—at best, slow and painful. Contrary to popular belief, being made aware of our biases does not reverse them—even upon instruction, we struggle to suppress the influence of existing biases. There are many women doing great things in tech in South Africa, making their mark with innovative initiatives and strong leadership roles. Gender diversity in technology is an ongoing challenge and women have to constantly prove their capabilities and strengths. Yet, more women are contributing innovative and even disruptive ideas, creating a meaningful change in people’s lives.